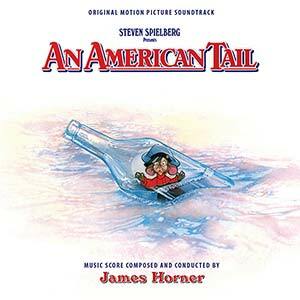 Intrada continues its examination of the animated scores of James Horner with this new expanded edition of the 1986 soundtrack to An American Tail, a joint effort between Don Bluth's Sullivan Bluth Studios and Steven Spielberg's Amblin Entertainment, and Horner's first full-length animation effort. The score follows Horner's soon-to-be-Oscar-nominated score for Aliens. Whereas Aliens was a dark, mysterious, exciting and often scary work, An American Tail was a mouse of an entirely different color. Tail spanned two animated continents, giving Horner an epic tapestry for which he weaved a colorful and beautiful score, steeped in rich themes and excitement. 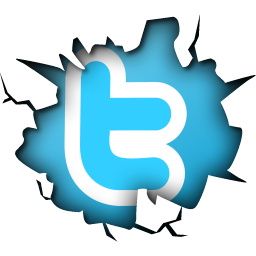 Throughout, songs help the story along, spawning the hit, "Somewhere Out There," sung by Linda Ronstadt and the very recently, dearly departed James Ingram. It's one of the finest scores Horner composed, among a body of work that is filled with stunning beauty. The original album released by MCA at the time of the film's release in late '86 was 50 minutes in length, paired down from an original 65-minute program Horner had prepared. For this release on Intrada, producer Mike Matessino has remastered and expanded this benchmark in animated film scoring for the first time, working from Eric Tomlinson's original mixes, allowing the score to shine like the true jewel that it is. The story focuses on the adventures of the Mousekewitz family: Papa (Nehemiah Persoff), Mama (Erica Yohn), Tanya (Amy Green/Betsy Cathcart), Fievel (Phillip Glasser) and infant Yasha. Chased from their Russian village by Cossack cats, they bravely set sail for America where, Papa promises them, “there are no cats!” But a storm at sea separates young Fievel from his family, and when he finally lands in the new world, his only thought is to find them. The first friend he makes is Henri (Christopher Plummer), a French pigeon building the Statue of Liberty, but he soon falls into the clutches of Warren T. Rat (John Finnegan), a cat posing as a rat to take advantage of downtrodden, immigrant mice. Promising to reunite Fievel with his family, he brings him instead to a workhouse of Dickensian gloom. Fievel must escape Rat's treachery and resume his quest to find his family. 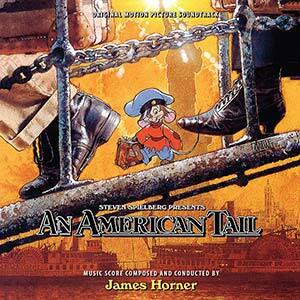 For track listing and sound samples, please visit the An American Tail soundtrack page.